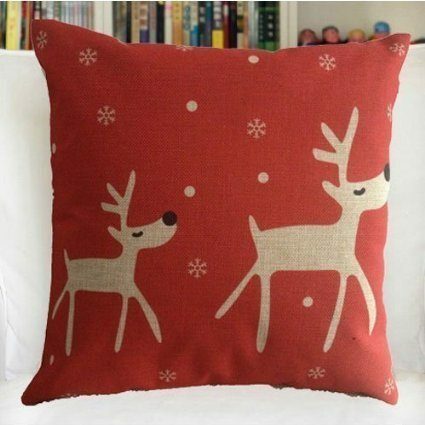 Reindeer Cotton Linen Pillow Cover Only $2.98! Ships FREE! You are here: Home / Great Deals / Amazon Deals / Reindeer Cotton Linen Pillow Cover Only $2.98! Ships FREE! Head over to Amazon to order the Reindeer Cotton Linen Pillow Cover Only $2.98! Ships FREE! Snap this up to get ahead on your holiday decor!